We are finally seeing some spring flowers on the gravelly road after all the showers recently. The apple trees are full of blossoms. 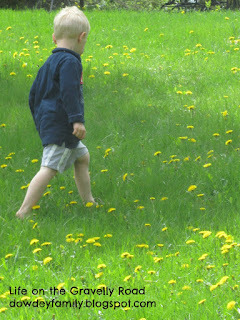 Of course the grass is full of lovely dandelions as well. I love the beauty of many small flowers blooming together. It reminds me that God created us to live in community, to bloom where we're planted, to encourage and learn from others blooming alongside us. All too often I hear the whispers of society to strive to be a single, unique rose with thorns to keep other from getting too close. 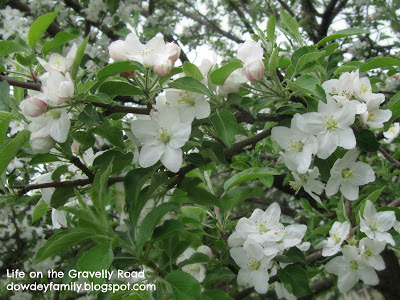 Then I remember the apple tree blossoms. 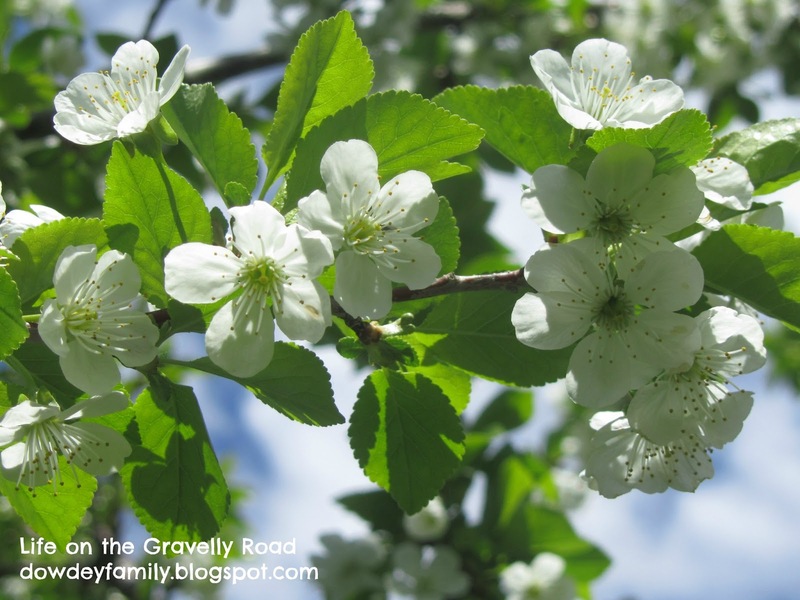 They are small, simple yet beautiful, and with the help of hard working bees along with the rest of the tree produce a crop of fruit that a single rose cannot compare with (in my opinion).